Performers include: America Ferrera, Ben Feldman, Lauren Ash, Colton Dunn, Nico Santos, Nichole Bloom, and Mark McKinney. Set in the fictional Cloud 9 Superstore, this workplace comedy focuses on the family dynamic that forms among employees. Having seen it all, the bright and dependable Amy (America Ferrera) is Cloud 9’s most steadfast and level-headed employee. She keeps Cloud 9 together, despite her coworkers foibles and antics. Idealistic Cloud 9 new-hire Jonah (Ben Feldman) is determined to find moments of unexpected beauty — even in his work at this generic, big-box chain store. Jonah strikes Amy as elitist, even while proving nearly incompetent, at first. Aggressive Assistant Manager Dina (Lauren Ash), sets her sights on Jonah. Other than that, Dina lives and dies by the Cloud 9 Superstore employee handbook. Amiable but bumbling, Store Manager Glenn (Mark McKinney), is a lifer who has been promoted above his level of competence. Snarky Garrett (Colton Dunn) is Cloud 9’s “Voice of God,” intercom announcer. Young, sweet, and pregnant, Cheyenne (Nichole Bloom) is just trying to get by and provide for her imminent family. The ambitious Mateo (Nico Santos) is hired along with Jonah, and is determined to get ahead. What do you think? 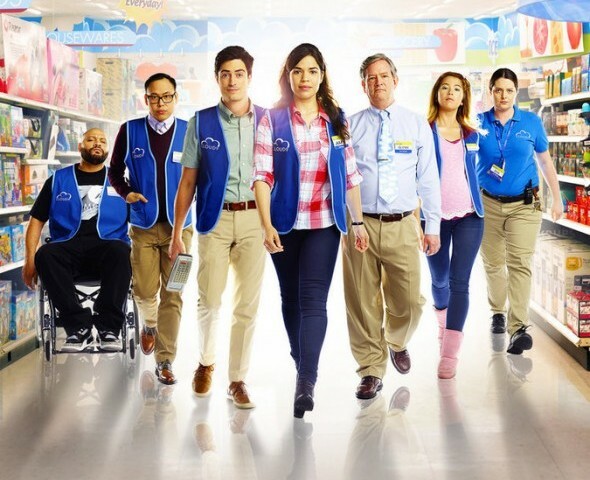 Do you like the Superstore TV show? Do you think it should be cancelled or renewed for another season? This season started a little off but the show got its legs again. I Love it!